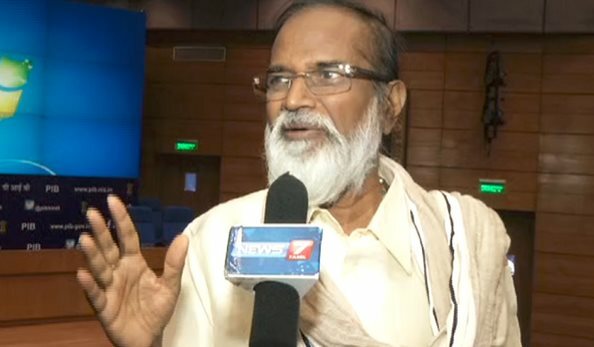 As soon as maestro Ilayaraja was announced as the best music director for his background score in ‘Thaara Thappattai’ in the 63rd National Film Awards on Monday, a controversy was broke, pointing out that his younger brother Gangai Amaran was part of the jury. However, it has emerged that though Amaran was part of the selection committee, he stayed out of voting for Ilayaraja to avoid conflict of interest. Film editor Sanjib Datta, who too was a jury member, has confirmed this. Meanwhile, Amaran himself has said that there is no place for brother or family member when it comes to discharging duties. “I did justice to the responsibility given to me,” the music composer-lyricist-director said. In the meantime, accolades have been pouring in on Ilayaraja from film personalities, politicians and fans for the award. PMK founder S Ramadoss, who is known for his stand on cinema, has also greeted Ilayaraja and said his music helped him come over loneliness.